Over 65 species of birds, including Swans, swamp hens, ducks and all types of water fowl, also as turtles, lizards and aqua life are losing their freshwater sanctuary.! BLACK SWAN LAKE is a haven for wildlife within the equine precinct on the Gold Coast, close to Surfers Paradise - and is PUBLIC LAND. On 15 November, 2016 the Gold Coast City Council (in meeting 726) made the appalling decision to licence the Lake to the Aquis Turf Club for the sum of $1 p.a. to allow them to fill in the lake - for a car park !! 65 officially recorded bird species including rare and migratory birds, Turtles, eels, fish & other marine species. The reasons given by Council to approve the filling of the Lake are now null and void. The decision by Council to fill in the Lake is under investigation by the Crime and Corruption Commission Queensland due to the conflicts of interest by the Mayor, Deputy Mayor and several Councillors some of whom have honorary membership to the Turf Club. 40,000 have signed a petition to demand that this destruction of OUR Lake STOP IMMEDIATELY - GCCC and the Aquis GC Turf Club have refused to accept and acknowledge this petition. People who care for all animals, not just racehorses, and those who respect our natural environment are distraught at the destruction of this beautiful, tranquil lake. Earlier this year donators generously raised enough money to pay a Solicitor and Barrister to draw an Injunction. It pointed out all the errors that had been overlooked in the permit to proceed, and this successfully stopped the filling in of the Lake for 8 months. Trucks then arrived in November and again started dumping dirt into the lake. A second Legal action Is currently being taken, this time to Permanently prevent any further works is being sort - with your help this time we can stop them for good. We need your financial support to seek urgent legal advice and pursue a second Injunction and cover costs and we need it NOW. Can you please help us stop the destruction of our freshwater wildlife refuge and Save Our Animals? By pledging and/or sharing this petition. If there was ever a time to dig deep this is it because ONCE IT'S GONE - IT WILL BE GONE FOREVER ! 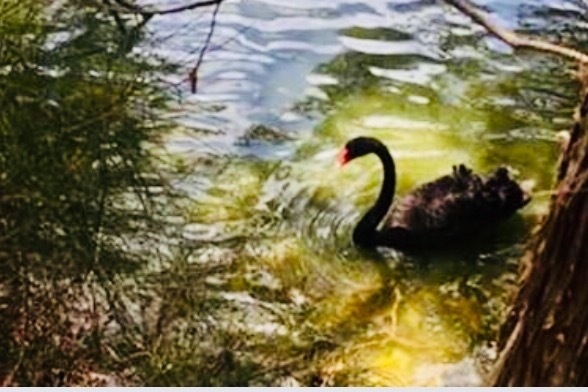 Help fight THE DESTRUCTION BLACK SWAN LAKE BUNDALL QLD AUSTRALIA.